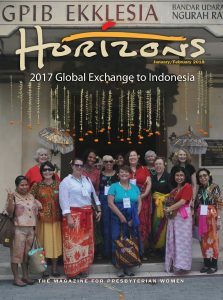 Horizons is the magazine (and Bible study) by and for Presbyterian Women. 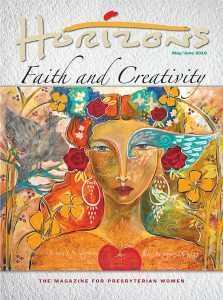 It’s the resource for helping you explore where faith and life connect. 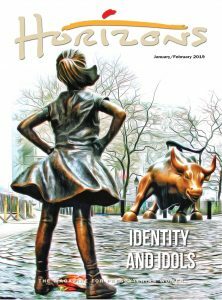 Focusing on issues of faith—from the interplay between literature and theology to violence against women—Horizons gives you insights from women around the world and inspiration to live boldly. 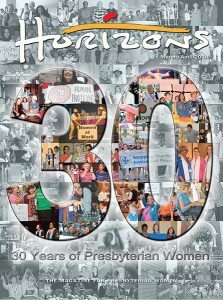 Within the pages of Horizons, you will find a wealth of information you need to live in faith as a Presbyterian Woman. 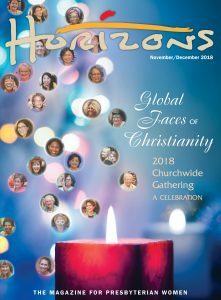 Inside you will find mission stories, ideas for justice and peace work, information about Presbyterian Women and our denomination, the Presbyterian Church (U.S.A.), devotions, Bible study resources (to support the annual PW/Horizons Bible study) and a short Bible study on the issue’s theme! 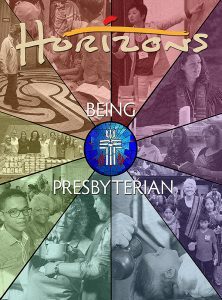 Horizons is just for you because Horizons is about you and your sisters in faith, amazing Presbyterian Women! 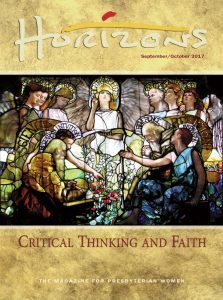 Print subscriptions include six issues a year and the annual Bible study. 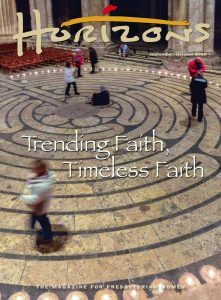 Print subscribers also receive free digital access to the magazine! 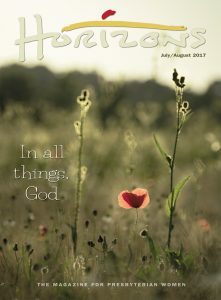 Subscribe or renew a subscription to Horizons. If you’re already a subscriber, thank you and good choice! Remember, your subscription comes with access to a digital version of the magazine. 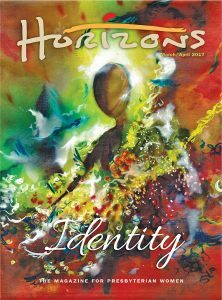 Also available is the complete list of Horizons magazines available to order! 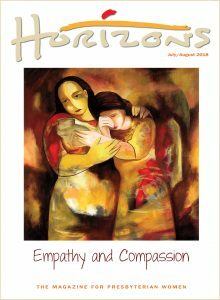 Click here to download a PDF of the complete list of Horizons magazines. The conflicted responses to these questions are why the cover image seemed like such a good fit for this issue. Does the cover image unsettle you? Make you chuckle? Is it the crowd’s use of phones or Jesus’ that sparks your response? Does it make you want to reach for your smartphone or toss it in the nearest lake (but then drive to the tech recycling bin)? Regardless of our personal level of comfort with social media—or the internet at large—it’s here to stay for the foreseeable future. 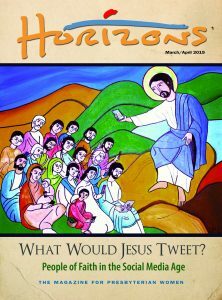 So as people of faith, what does our use of social media look like? How can we use it and shape it to reflect the best of who we are? The writers and the other contributors to this issue celebrate the possibilities of social media while also noting the very real concerns it presents. In short, they help us navigate our way through this period of reflection about social media, helping us chart a course for how we as people of faith engage social media. 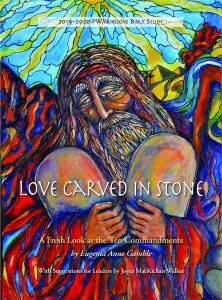 July/August – What Do You Believe? Download writer’s guidelines for contributing to one of these issues. 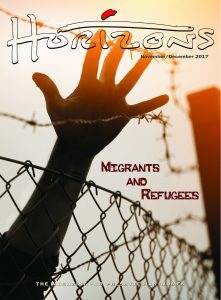 To ask a question or to learn more about Horizons Magazine, contact Sharon Dunne Gillies. Who Is Jesus According to the Non-canonical Gospels? Oh the Internet. So many wonderful opportunities to unearth treasures!